SAN SALVADOR, El Salvador — Government officials, aid workers and activists in Central America are mystified by U.S. President Donald Trump’s threat to cut off nearly $500 million in aid to Honduras, Guatemala and El Salvador in response to what he calls an immigration crisis. Over time, they say, it will only worsen the problem. It’s still not clear exactly what, when or how much could be cut. Trump said last week that “we were paying them tremendous amounts of money and we’re not paying them anymore because they haven’t done a thing for us,” and mentioned a figure of $500 million. Rick Jones, who works in El Salvador as the youth and migration policy adviser for Catholic Relief Services, counsels young people to keep them out of gangs and help them get jobs. He also runs behavioral therapy for inmates to deter them from returning to crime — all things that have “a positive impact to help guys think about and change their behavior,” he said. It’s seen as unglamorous but badly needed work, especially in a place like El Salvador, which has a homicide rate that is among the world’s highest at more than 50 per 100,000 people last year. 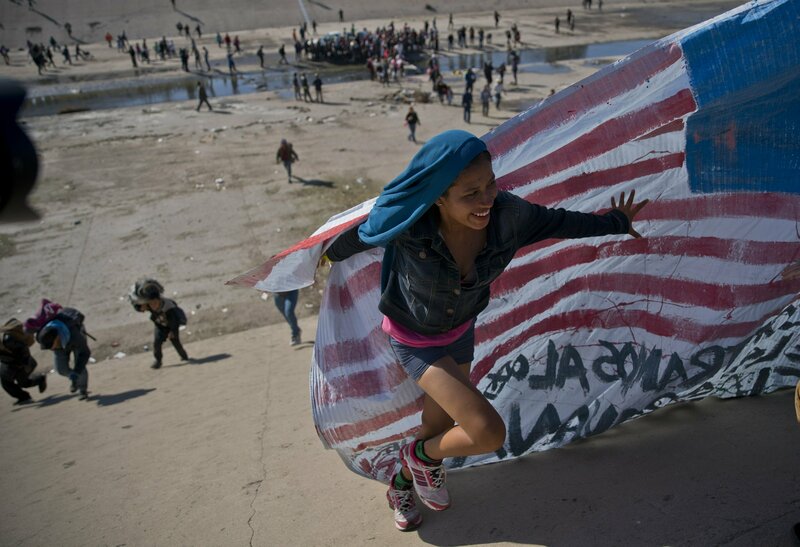 Some government programs aimed at persuading Central Americans not to emigrate have been put in place, in part in response to Trump’s earlier criticism about the migrant caravans that brought thousands trekking toward the U.S. border, and the threatened aid cutoff does not take that into account, officials say. “This goes against what we have seen in reports that show there have really been some decreases in migration, and that they are the result of the efforts being made on this issue,” said lawmaker Yanci Urbina of the left-leaning FMLN party in El Salvador, the least populated of the three countries and a distant third in terms of how many migrants are heading for the U.S.
Like Guatemala, Honduras has backed the Trump administration on key issues such as recognizing Jerusalem as Israel’s capital and on the political crisis in Venezuela. It remains to be seen whether such support could waver. “A sense of nationalism is surging in this country … and that could be a good thing,” Paz said. Beltrán noted that most of the assistance now in jeopardy does not go directly to the three countries’ governments but to agencies, NGOs, church groups and others. She predicted that an attempt to cut aid could face pushback in Congress if funds are reprogrammed without lawmakers’ consent. Particularly in the Democratic-controlled House of Representatives, members and committees could try to place holds on money in the next funding bill, she said.